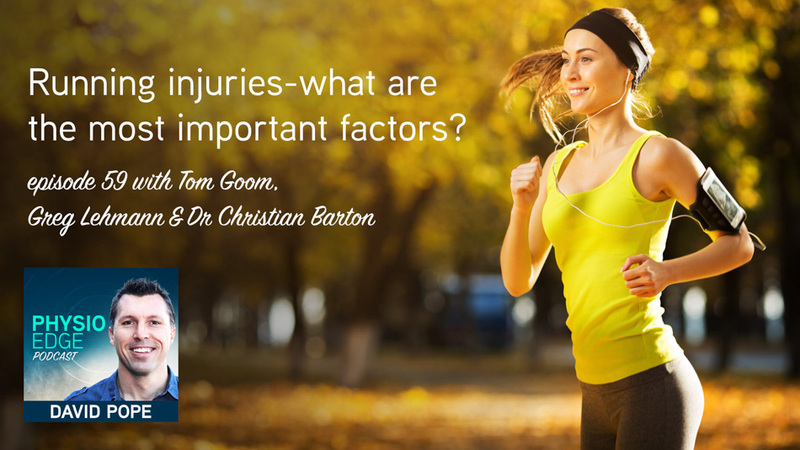 How can you identify the most important factors involved in your patients running injuries? During your rehabilitation of runners, which is most important to address - load, gait pattern, strength, foot strike, pelvic position, footwear, range of movement or other factors? I wanted to discuss and debate these issues with a number of Physiotherapists that treat and research running injuries, so I have a very different format for you on this episode of the Physio Edge podcast - a group podcast. On this podcast, we have Tom Goom, Greg Lehman and Dr Christian Barton all in one virtual room discussing and debating the merits of the various approaches to running injuries. When is it important to change your patients foot strike? Which patient presentations and pathologies will be assisted with running retraining? Which footwear should runners wear? Frontal plane kinematics of the hip during running: Are they related to hip anatomy and strength?